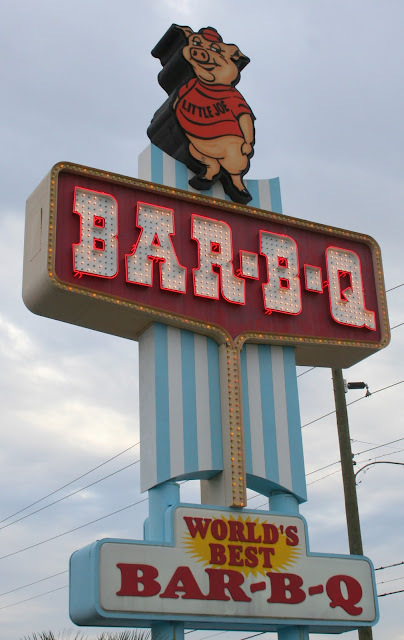 In the Carolinas, BBQ is simply the most important food around. BBQ sauce is distinctively divided by region. In Western Carolina you can expect sweet tomato based sauce. In Eastern Carolina you will get Vinegar based sauce. My personal favorite is South Carolina BBQ Sauce. 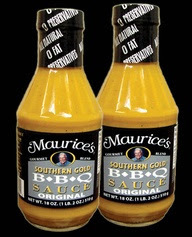 South Carolina BBQ sauce is mustard based and has a unique color and flavor. In South Carolina BBQ is controlled by one family: The Bessingers. The Bessingers are not a united front. There is a divide that runs deep through history, politics and culture. 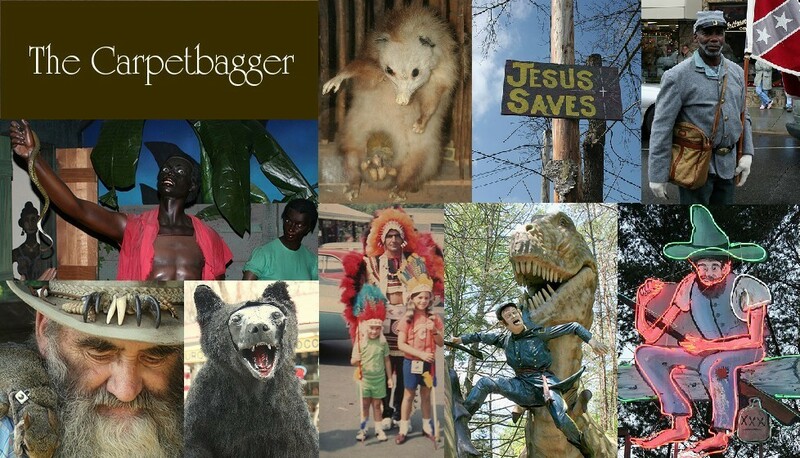 Meet Maurice Bessinger, the most eccentric of the Bessingers. He has run BBQ restaurants around central SC for many many years. Think of him as an evil Colonel Sanders. In 2000, the NAACP threatened to boycott the state of SC over the fact that they were flying the confederate flag over its capital building. The state comprised and moved its flag to another location on the grounds. This move enraged Maurice. 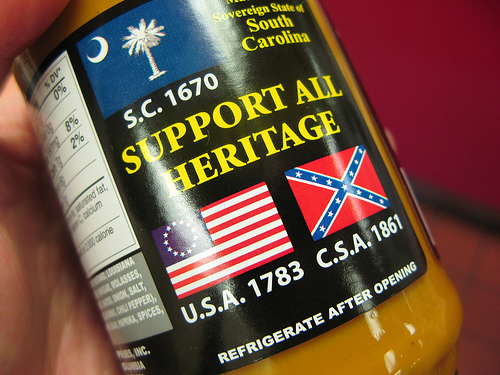 Maurice began flying confederate flags over all of his restaurants and even had the flag emblazoned on the back of his BBQ sauce bottle. His backlash against the NAACP caused a backlash by the NAACP. A boycott of his sause was threatened and as a result Walmart refused to carry Maurice's sauce. This followed was followed by virtually every grocery store not wanting to be part of the controversy and refusing to carry Maurice's sauce. (The sole exception would be Southern grocery store chain Ingles). When Maurice's sauce was pulled from grocery stores across the South it was quickly replaced by another brand of sauce, that was surprisingly similar. 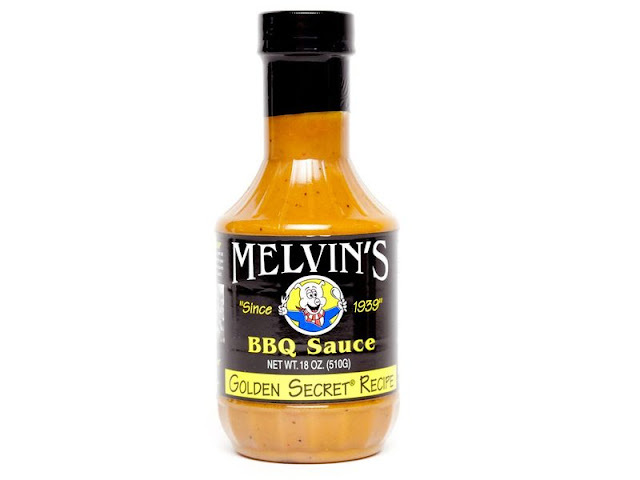 This sauce was produced by Maurice's older brother Melvin Bessinger. At first the NAACP threatened another boycott as they felt this was a ruse by Maurice to sneak his sauce back in stores. Melvin would then publicly denounce his brother and declare that Maurice was a racist. Melvin was adamant that he did not follow the racist believes of his brother and stated his brother was an embarrassment to the family name. The NAACP officially endorsed Melvin's sauce. Maurice was again outraged and published a biography where he declared that Melvin was sadistic and abusive towards him when he was a kid. Maurice also stated that Melvin cheated him out of the families restaurant business because his mother loved him more. Before knowing of the political ramifications of Maurice's BBQ me and my wife stopped there on a trip back from Charleston. It was actually really amazing food. 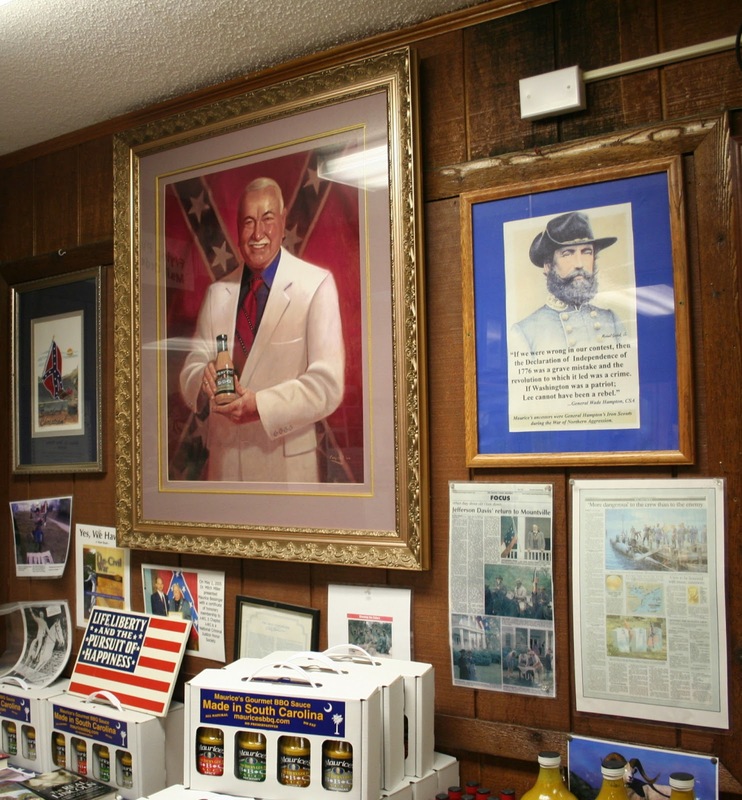 As we leaving I noticed the gift shop, I noticed something was a little "off" as the gift shop was full of neo-confederate literature as well as a shrine to Maurice. Oddly enough, the staff was entirely African American as well as half of the customers. Maurice may have lightened up a touch. At some of his restaurants (where he came across opposition) he switched out the traditional confederate flag for a more obsolete less iconic version. Melvin passed away last year, but his restaurant is still known as the best BBQ in Charleston. Outside of Charleston their brother Thomas operates a BBQ buffet. Thomas refuses to comment on the feud between his brothers. There is also a 4th brother who operates a BBQ restaurant in NC. I will leave up to all of you to decide where your BBQ sauce allegiance lies.